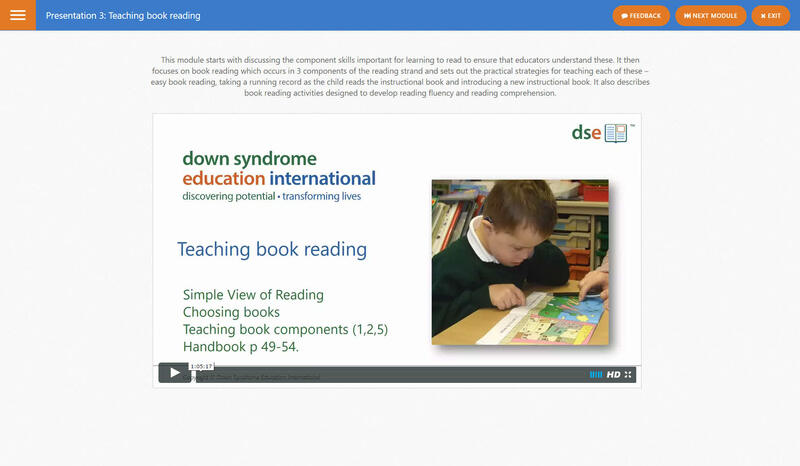 DSE has launched its third online course, supporting implementation of the Reading and Language Intervention for children with Down syndrome (RLI). Presented and led by Professor Sue Buckley, the course includes 6 modules, each of which includes a video presentation, handouts and an assessment. This course is designed for educators (teachers in mainstream and special education, advisory teachers and SENCOs, teaching assistants and paraprofessionals, speech and language therapists/pathologists) involved in delivering the Reading and Language Intervention for Children with Down Syndrome (RLI). Parents with an interest in the intervention and how they can support their child's reading and language learning in partnership with their school may also benefit from the course.